Dr. Colin Wiebe received his B.Sc. and Doctor of Dental Surgery Degrees from the University of Alberta. He then completed a hospital residency (GPR) providing dental treatment to medically compromised patients at the Royal University Hospital in Saskatoon and stayed on as the Acting Director of Hospital Dentistry to cover a maternity leave. After a stint in general dental practice in Williams Lake, BC he spent a summer as a volunteer dentist at the Patan Hospital in Kathmandu, Nepal which also gave him a chance to explore and trek in the Himalayan Mountains. After returning to Canada he completed his specialty training in Periodontics and a M.Sc. degree in Dentistry at the University of British Columbia (UBC). Colin then became an assistant professor of dentistry at UBC and was in charge of the periodontics residency program. Colin moved to Calgary in 2001 to enter private specialty practice with Dr. Bryce McDougall but continues to be a part time clinical assistant professor and teach about two days per month at UBC. At UBC he teaches periodontic, orthodontic and pediatric dentistry residents, supervises surgical procedures and participates in research projects with the periodontal residents. Colin has co-authored over 30 scientific research papers and has presented at research conferences internationally. Colin has also taught at the PAADI Dental institute in Riyadh, Saudi Arabia and the University of Helsinki, Finland in addition to more routine lecturing in Calgary and area dental study clubs. 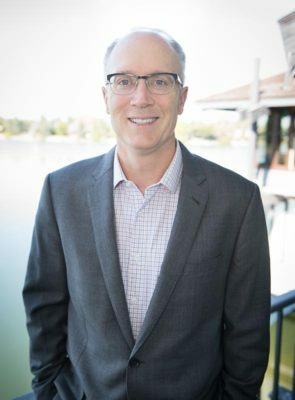 Colin was formerly a part-time staff periodontist in the Tom Baker Cancer Centre at the Foothills Hospital in Calgary and also an examiner for the Royal College of Dentists from 2002-2013 as part of the certification examinations for new dental specialists in periodontics. Colin has been involved in teaching (China, Finland, Saudi Arabia) and volunteer dental in various countries including Ecuador, Nepal, China, Nicaragua, Ethiopia and participates in an ongoing project in Haiti through EMAS. He has also done research on Kindler Syndrome (see publication list) in a remote area of Panama. Colin enjoys travel and has been to over 30 countries. Highlights have been climbing Mount Kilimanjaro in Tanzania, touring game parks in Kenya, scuba diving the great barrier reef off of Australia and between the continental plates in Iceland (2⁰C water temperature! ), meeting our Compassion girls in Ecuador, visiting Israel with our extended families and giving a presentation to the prisoners in a Philippine prison (they are so bored they make a great audience!). Colin enjoys racquet sports, skiing triathlons and trail ultramarathons. He has completed dozens of triathlons including Ironman Canada as well as trail runs at Lost Soul of 100 km and 100 miles (where he got made fun of for stopping to brush his teeth twice) as well as R2R2R across the Grand Canyon. Colin is married to Patty since 1996 and they have daughters Janelle and Isabelle. As a family they enjoy sports, traveling, church and community activities.